It’s the middle of June and I can’t help but wonder if it’s mid-Spring. Sitting here on a Friday afternoon and I can see outside. Its sunny with no wind, at a balmy 25 degrees and I wonder what I can do this weekend. If I could, I would probably build a deck or plant a new garden because in all honesty, what’s stopping me? Spending time on DIY activities or building our own projects has become something that is both underrated and underutilised. Not only do these activities teach us important life skills, they allow us to create something that is truly our own. 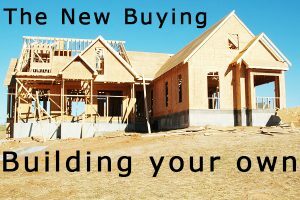 Over the last decade and a half, there has been an influx of people including my parents, who have decided that they would like to design and build their own homes instead of buying a pre-built house and land package. Why? Because it’s cheaper and allows more individuality. There is no compromise when you do your own building or renovating, it’s all what you have imagined and nothing else. You can get your own floor tiles, pick the colours of the walls and the kitchen benches. Decide how big you want your shower and how much wardrobe space you need. Do you need an extra room for an extra person soon? How many cars do you want in your garage? Is there a man cave that needs to be built? You have the freedom to choose what type of home you want to live in. A unique place for you is important because it’s something that you come home to every night. And with first home owners grants and a lot of funding given to those who want to build, it’s definitely something that needs to be considered. Or, perhaps it isn’t a new home that you want, but just a new kitchen or a new garden. Take a project on! Get the kids involved, make it a family affair – you’ll find that renovations become an enjoyable journey to an even more satisfying finish. Luckily all of the missing bits and pieces that are needed for the internal or the external of your wonderful new home are often sitting inside our auction warehouse. From decking to kitchen bench tops, Lloyds most likely have an auction that will literally complete your whole room or outside living area. Our marble bathtubs add some class to bathrooms, bamboo decking ensures you have a one of a kind outdoor area and to finish it off, Lloyds even carry a range of both outdoor and indoor furniture, decorations and utensils for the kitchen. Tool auctions ensure that you not only have all of the materials that you need but also all of the equipment to create your masterpiece. Take a look at our regular Home Renovator and Builders auctions, Tool Auctions and Landscaping and Outdoor Auction. You’re guaranteed to find something that will catch your eye! So, what is stopping you? There is no better time to start your home improvements than today!